Hard-to-find but superior plant performers that thrive in Delaware Valley gardens. Explore our curated selection of unusual tropicals, annuals, and spring perennials on Saturday, May 11. Add some wow to your garden with our curated selection of superior plant performers. 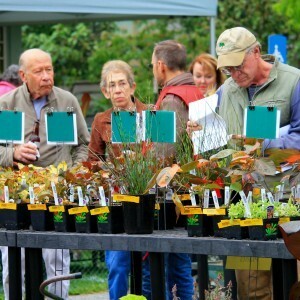 Plant experts will be on hand to answer your plant questions. 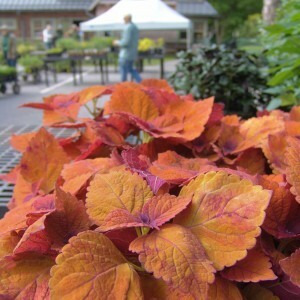 You will find tropicals, annuals, and perennials not found at the big box stores. They add a sense of the lush tropics to your garden. 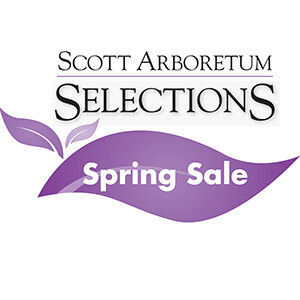 For many years the Scott Arboretum has showcased interesting tropicals and annuals in containers and various gardens around the campus from May to November. Tropical plants such as Alocasia, Colocasia, and Xanthosoma (elephant ears), Canna, Ensete, Musa, Musella (bananas), and bromeliads create a stunning, lush effect that reminds you of the tropics. Check back this spring for plant lists to be posted in May. Attend our preview party for a first chance to shop while enjoying drinks and delicious light fare! Scott Associates must show their membership cards for admission. If you have lost or misplaced your card, or would like to become a member, please contact the Scott Arboretum offices at 610-328-8025 or scott@swarthmore.edu or click here. Check back this spring for plant lists to be posted.